Our tradition - Peer Foods Group, Inc.
Buehler Brothers eventually opened its own packing facility in 1925 near the booming Union Stockyards. The plant's primary purpose was to provide a variety of premium meats for the Buehler Markets. In 1944, the plant's name was changed from Buehler Brothers to Peer Food Products. This was done in order to distinguish itself from the meat markets. This change enabled the manufacturing facility to sell products wholesale. 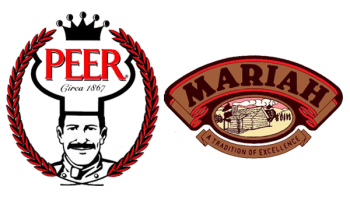 Throughout the years, Peer Foods has offered a variety of products, including Spanish olives, pie dough, and salad dressings. These items have since been removed from the product mix in order for Peer to focus on its area of expertise - smoked and roasted meats. In keeping with the spirit of the Buehler ingenuity, today's privately held Peer Foods strives to provide cutting-edge products to the foodservice and retail industry. Using the same traditional natural hickory and hardwood cooking methods that we used in 1925, today's Peer Foods offers a diverse line of smoked and roasted products that will satisfy every daypart need. Peer's evolution from supplying yesterday's Midwestern meat markets to servicing today's national foodservice and retail industry has been a long and interesting journey - but one constant has remained: Our commitment to providing the best tasting, highest quality, old fashioned cooked meats, along with the highest level of customized service. With the emergence of the Union Stockyards came one family's quest to provide high quality meats to the general public. Our heritage begins with Christian Buehler Sr.'s immigration from Stuttgart, Germany, in 1849. He first settled in Philadelphia and then moved to Chicago. A meat-cutter by trade, Christian entered the meat-packing industry in the 1860s. Using his meat-cutting expertise and innovative spirit, Christian Sr. started his own pork-packing and general butchering operation in Peoria, IL. He became renowned in the meat-packing trade for his method of preserving meats, using a unique refrigeration system. Christian Sr. shared his knowledge of his chosen craft with his children. Inheriting their father's tenacity and talent, three of Christian Sr.'s children formed the Buehler Brothers Meat Markets in Chicago, circa 1894. The brothers chose Chicago in order to have easier access to the Union Stockyards. This enabled Buehler Brothers to offer the freshest and choicest cuts of meat. The Buehler Markets grew exponentially and by 1915, there were numerous Buehler Markets throughout the Central and Midwestern states.